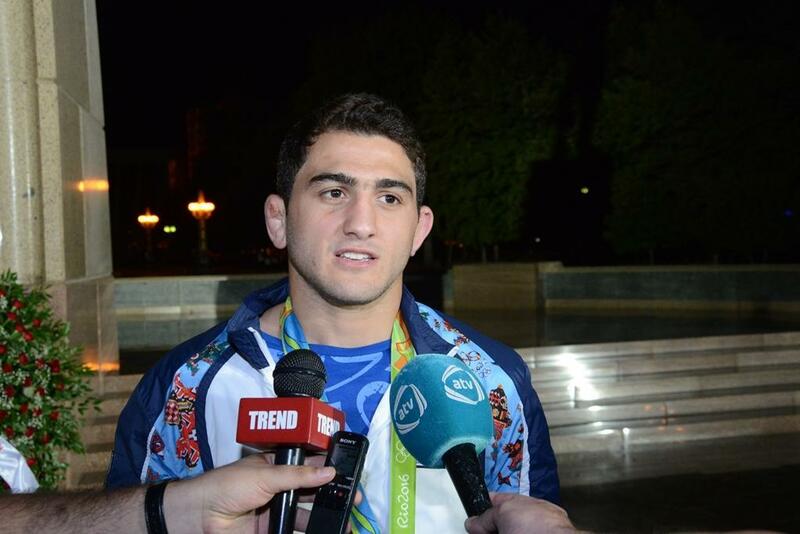 Azerbaijani freestyle wrestler Haji Aliyev, who returned home with a bronze medal from the Rio 2016 Olympics, said his next aim is the Islamic Solidarity Games. Baku will be hosting the 4th Islamic Solidarity Games on 12-22 May, 2017. "We have the Islamic Solidarity Games ahead, and this is our main goal," Aliyev told reporters in Baku, adding that he plans to perform well and get another medal. Speaking about the Rio Olympics, Aliyev said he was in general pleased with his results. "I am happy I got bronze, but because I dropped too much weight previously, my stamina started to catch up with me towards the end of the bronze medal match, but I eventually could win it," he said. Azerbaijan, represented by 56 athletes at the Rio Olympics, captured 18 medals (1 gold, 7 silver and 10 bronze). The country was among the top 15 countries at the Olympics, which hosted a total of record 206 countries. Azerbaijani athletes represented the country in 18 sports disciplines.